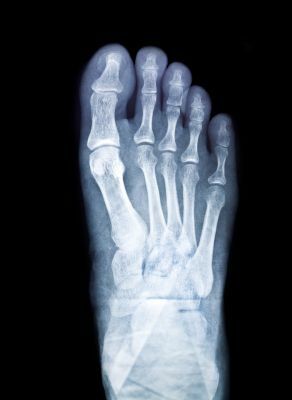 How to Stay Fit and Exercise with Stress Fractures | Podiatry Associates, P.C. Will My Body Heal a Stress Fracture of the Foot? After suffering a stress fracture of the foot, find out if you need to see a podiatrist for treatment or if your body will naturally heal the fracture. Active people don’t like to sit still. They like to be moving, no matter the season. When winter weather makes it tough to continue running or playing sports outside, many people just stay indoors. We’re finally reaching the time of the year when people begin moving back outdoors. Just be careful as you do—changes in exercise routines can make you prone to stress fractures, which will sideline you for a while. Still, even with a stress fracture in your foot, you can exercise and stay fit if you stick to the right activities. Stress fractures are overuse injuries that develop when your foot becomes fatigued and has trouble absorbing pressure and shock. Repetitive pounding and hard landings stress the bones, eventually causing cracks. Continuing to subject your injured limb to hard impacts and heavy pressure only makes the problem worse. That might even lead to a full break in the bone. You need rest and reduced pressure on the feet to heal. Swimming – This is an excellent cardio exercise that strengthens your arms and core while not involving hard impacts to the feet. Just take it easy – vigorous kicking may still be uncomfortable for your injured foot. Cycling – Biking is a cardio activity that places limited pressure on your feet, especially if you wear good shoes or a walking boot to protect your foot. This will get your heart pumping and work your leg muscles at the same time. Weights – Weight lifting is a great way to build up muscle and stay in shape. Routines that can be done sitting down avoid straining your foot bones. Although you’ll have to cut back on all your activities when you have a stress fracture, you don’t need to give up on exercising completely. You can stay fit by doing the right kinds of exercise while you heal. Let our team at Podiatry Associates, P.C. help you make the most of your recovery. You can reach our Castle Pines and Parker, CO, offices by calling (303) 805-5156 or using the online appointment request form.